In case you don’t already know, I love fall and winter. I absolutely love cold weather and everything that goes along with it. 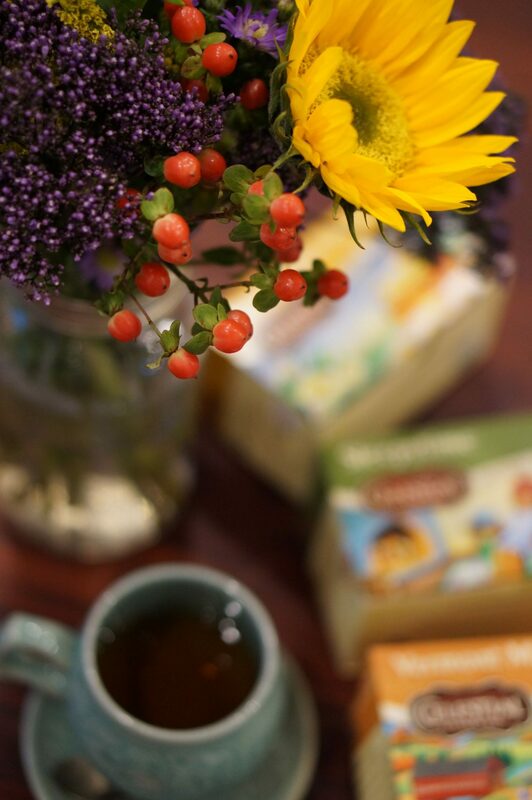 One of my favorite things to do once fall starts is stock up on different autumnal teas. 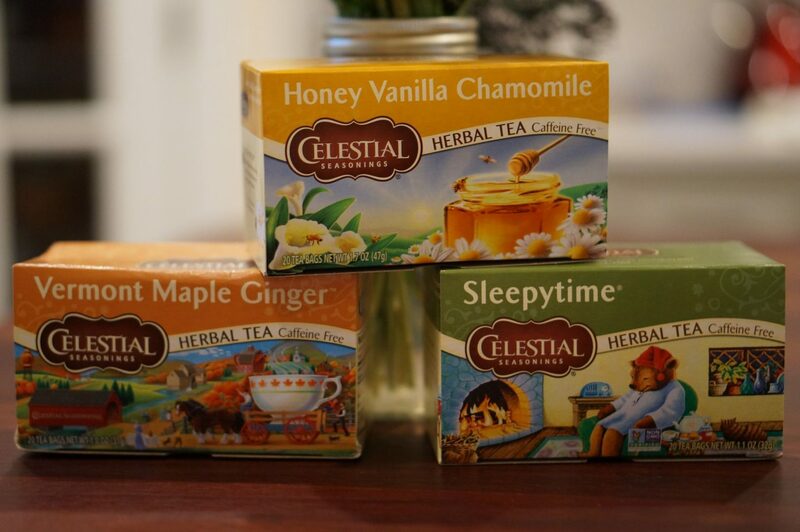 Celestial Seasonings teas are some of my favorites, and their seasonal flavors are some of the best. 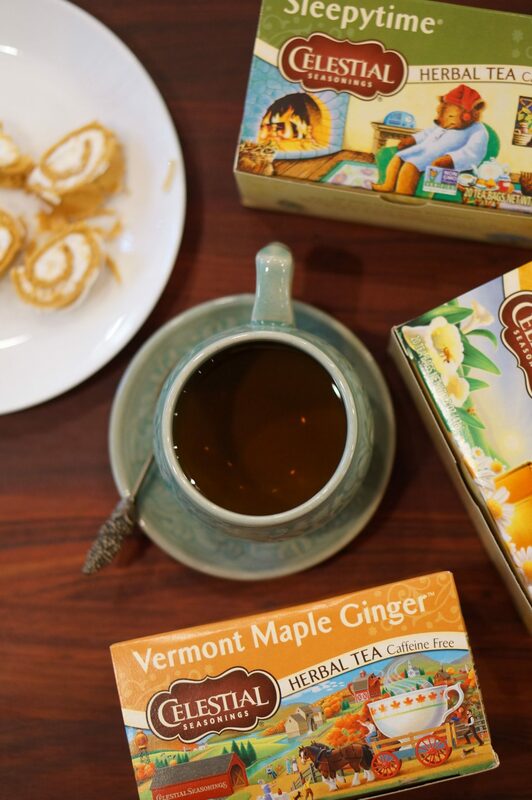 We actually drink their tea year-round, but during the fall and winter we break out all the fun flavors. We’ve had a nightly tea routine for a few years now. I love having a warm mug of decaf tea after the kids go to bed. Usually, I have some dark chocolate to go along with it, but on this particular night we had some pumpkin spice rolls. They were so delicious, especially with the Celestial Seasonings Vermont Maple Ginger tea. 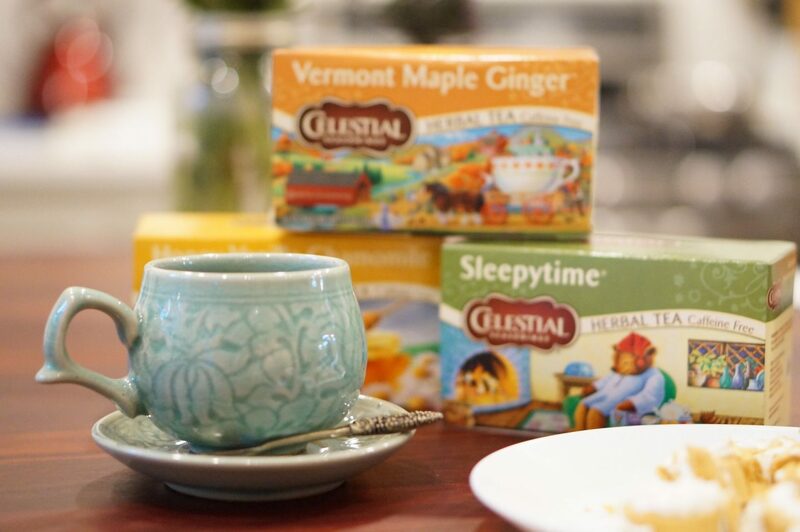 The other two teas that we have right now are staples in our pantry year-round. 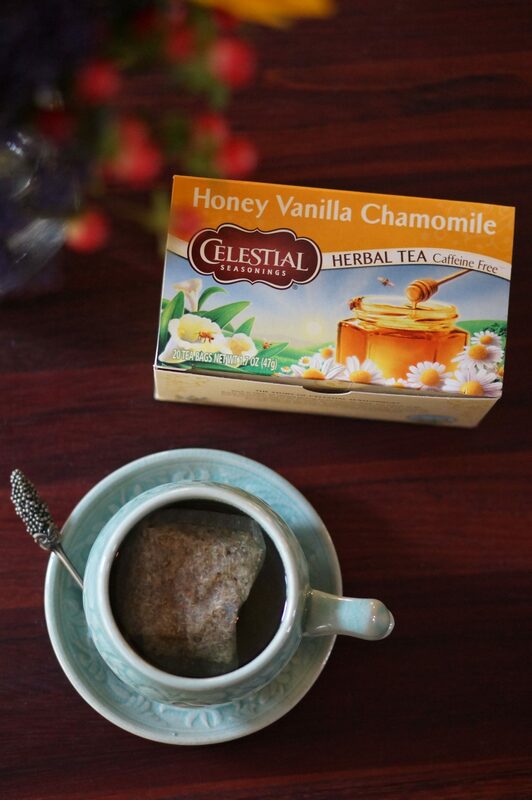 The Honey Vanilla Chamomile is very calming, as is the Sleepytime. 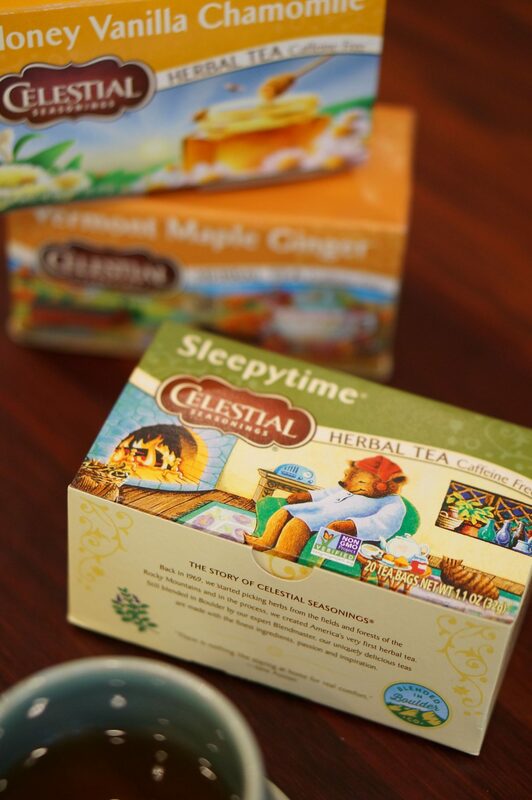 Is there anyone out there who’s never had Sleepytime tea? I doubt it, because it’s such a classic flavor. Of course, given the name, it’s very soothing and perfect for the evening. 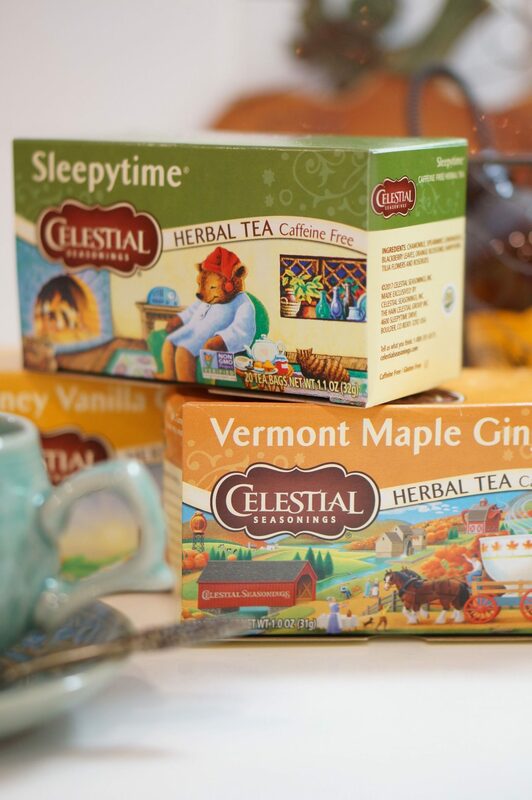 Finding Celestial Seasonings is always easy for me, because the brand is carried at Walmart. Right now, you can find their seasonal flavors as well. I have a picture at the bottom of this post of the shelf, so you can easily recognize it when you’re in the store. I definitely need to mention their price point, because they are simply the best at the store. 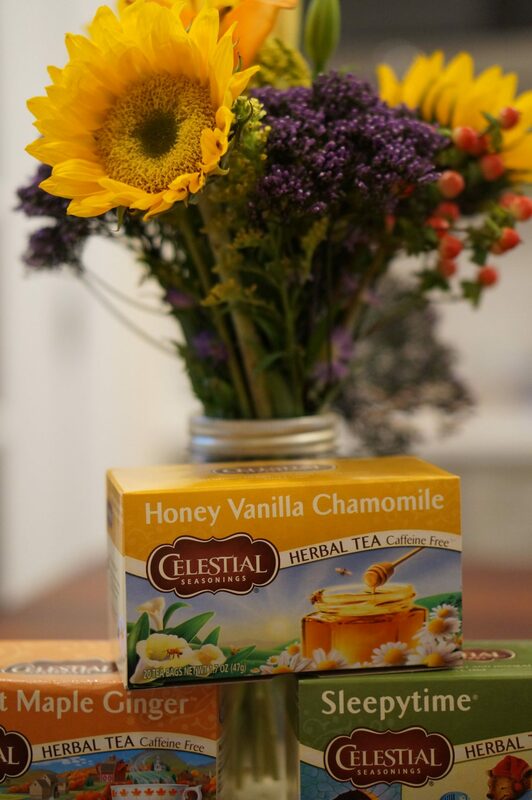 Celestial Seasonings has the best tasting teas for the absolutely best price. It helps, because I don’t feel guilty about stocking up all the flavors! One day, I might share my little chest of teas that I keep in the pantry. Last year, Will gave me a small chest for all my tea bags, and it’s been a lot of fun filling it up with Celestial Seasonings teas. 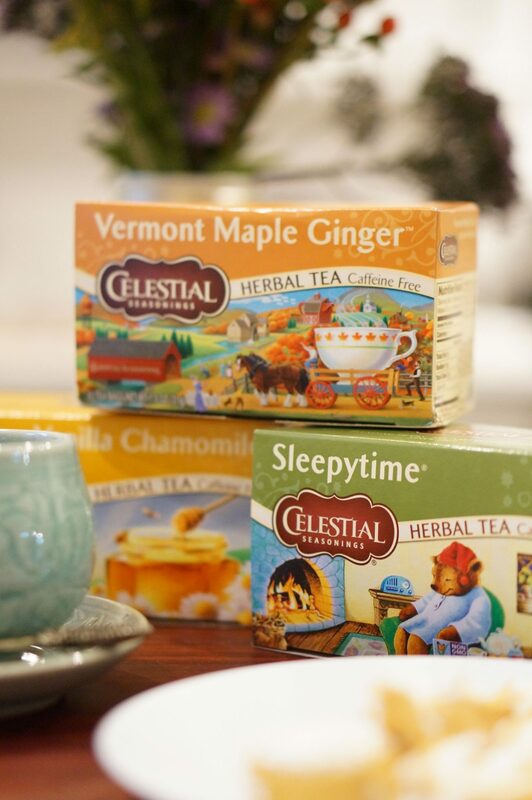 If you’re curious about these flavors and all the others that Celestial Seasonings has to offer at Walmart, you can find out more here.